That’s because Virgin Islands has more of the fattest people in the Caribbean per capita than any other country or territory in the region. Whether you look to our chief executive Gov. Kenneth Mapp — or his hand-picked Education Commissioner Sharon McCollum — the territory, like the administration, is made up of heavyweights — but instead of packing a heavy punch — they pack a heavy lunch … and then drink a Hawaiian Punch! If you don’t believe that we are the fattest — instead of being the phattest, which would be good — just look around you right now. What’s worst is that these are our elected leaders — who our children look up to — and they are increasingly overweight as well … which is bad for their health. In light of these facts, the Pan American Health Organization (PAHO) has sounded alarm on increasing obesity in the region, saying that it is one of the main risk factors for diabetes. According to the organisation, the percentage of adults in the Americas, including the Caribbean, who are obese is more than twice the world average, with more women affected than men. “Healthy eating and an active lifestyle can help prevent or even reverse obesity, in turn preventing the onset of diabetes or helping to control it,” PAHO said. It said diabetes is a progressive chronic disease characterised by high blood glucose levels. Type 2 diabetes – responsible for the majority of cases worldwide, and largely attributable to excessive bodyweight and physical inactivity – is increasing rapidly throughout the world. PAHO disclosed that the number of people in the Americas with this disease has tripled since 1980 and 62 million adults in the Americas were living with type 2 diabetes and about 305,000 died from the disease in 2014, the latest year for which figures are available. “Unless measures are taken to address the problem, it is estimated that, by 2040, there will be over 100 million adults with diabetes, with adverse effects on quality of life that include heart attack, stroke, blindness, renal failure and amputation of lower limbs,” PAHO warned. In many countries, it said women are disproportionately affected by obesity. Accordingly, “Women and Diabetes – Our Right to a Healthy Future” was the theme of World Diabetes Day 2017, on November 14 promoted by the International Diabetes Federation (IDF). Diabetes affects both women and men in the Americas (8.4 percent of women and 8.6 per cent of men). 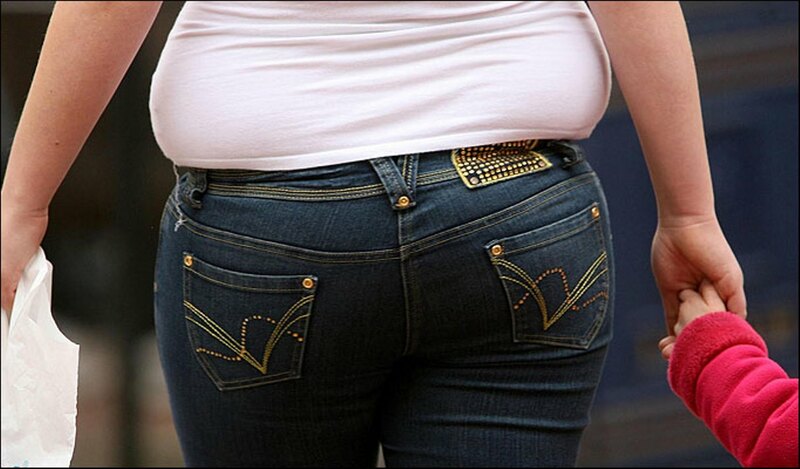 However, women have higher rates of obesity than men (29.6 percent versus 24 percent). PAHO pointed to some studies that show an association between higher body mass index and greater risk of diabetes, adding that abdominal obesity has also become a reliable predictive factor for the disease. During pregnancy, women can develop gestational diabetes, which increases the risk of complications, PAHO said. It said obesity and diabetes in mothers have also been linked with a greater likelihood of their children contracting diabetes in youth. “The Region of the Americas has the highest levels of childhood obesity in the world, which means that, in the future, we will have more people with chronic diseases, such as diabetes,” said PAHO Dominican-born Director Carissa F Etienne. In the Americas, PAHO said noncommunicable diseases – principally cardiovascular diseases, cancer, diabetes and chronic respiratory diseases – are responsible for approximately 80 per cent of all deaths, 35 per cent of which are premature deaths in people between the ages of 30 and 70. Given the magnitude of the problem, PAHO said the world’s countries made a commitment to a one-third reduction in their premature mortality rates by 2030, and to working to combat the principal risk factors: Tobacco use, unhealthy diet, physical inactivity and excessive alcohol use. Examples of these interventions include taxes on sugary beverages, prohibitions on the advertising of highly processed foods to children, front-of-package food labeling, and the promotion of safe and accessible recreational spaces to encourage active living. PAHO said it supports the countries of the Caribbean in their efforts to minimise the impact of diabetes and reduce premature mortality from the disease, as part of the Global Plan of Action for the Prevention and Control of Noncommunicable Diseases 2013-2020. Gentle Winds Property Owners Say The Lack of WAPA Power There Has Already Cost The Government About $200K In Lost Revenues ... With No End In Sight! Great article, and very factual. I see some of the fatties on FB from the VI are objecting to it, I guess the truth hurts. The truth is they followed American culture instead of staying true to their own culture. However, American culture has been shoved down the whole world’s throats, because making millionaires and billionaires out of a FEW is more important than making sure we ALL have access to what we need. This is the Caribbean people need to stop coming here and changing things. Everyone can make their own choice, every one knows right from wrong. How about all of the steroids and hormones that are put into the food as well. Think about what the food quality was in the 80’s verses today. I’m not saying that has to do with all of it. But the quality of food is terrible and it has tons of steroids, hormones and junk in it. Look up how long a chicken is on a chicken farm before being sent off to become food. And then look at the size of the chicken breasts in your local grocery store and tell me that a normal chicken raised without hormones and steroids is going to get that big in 6 to 8 weeks. And just look at how early these kids are hitting puberty now. Was like that in the 80s. Heck at 13 and 14 you couldn’t even tell most kids were of that age yet. So it’s not all a person’s fault they are overweight because the government allows to be put I to our food is another factor. …all part and parcel to our being an American Territory and the lack of a viable Agricultural Base. St. Croix was once called ‘The Bread Basket of the Caribbean’. But once the Transfer went through and agriculture gradually died, we became dependent on food stuff imported from the Mainland. Economically, the average resident of Black or Latino ethnicity can more easily afford ‘fast food’ and junk food than to purchase DECENT produce at higher prices. …and John, your behind has spread a bit since your early days here in the 90’s! Thank you for your enlightened post. You are absolutely right. Once you became an American Territory, it was all downhill from there, as Americans live the most unsustainable existence on the planet. We are beholden to tourists and all that they need and want instead of beholden to a very sustainable culture. Omg you hit it on the spot – Same situation we are facing here in Puerto Rico ! satiety and healthy nutritional options on island and the resources for making such changes. I would also like a the height and weight of the writer of this article as well as a recent full length photo and a food diary so I can assess his BMI and his eating habits for the record. You are so correct. Fat shaming does not work. We all know the cost of eating healthy in the territory. When you follow American culture, you will end up obese like the obesity capital of the world. And you will also end up distracted and addicted techno zombies. However, had they stayed true to their own culture, they wouldn’t have these problems.